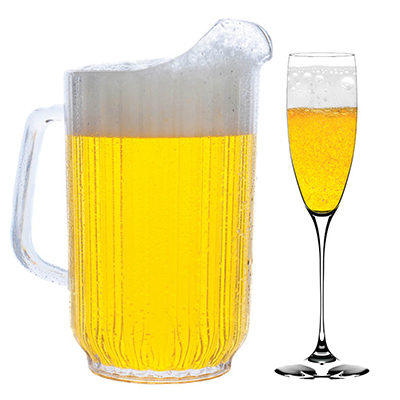 No one knows for sure when the first New Year’s Eve was celebrated, but it certainly was ushered in with beer. The oldest recipe on earth, beer has been consumed by nearly every society that has ever existed. Beer is produced in huts and made from prechewed corn. It’s brewed by monks in castles using blessed grain. And like those bubbly wines, beer is available in rare vintages and rich flavors. You can consume a carefully crafted local beer such as Athena Berlinerweiss from Creature Comforts—a gently tart and effervescent sour that the brewery refers to as the “Champagne of the South”—or Civilization, an English-style barleywine from Avondale Estates–based Wild Heaven, which uses ancient ingredients like Prussian lemons to produce a bold and complex flavor. On the calendar: With 40 brews on tap, New Beers Eve in Little Five Points gives you plenty of ways to toast 2015. Caitlin Wilson is a Certified Cicerone beer server and works at a nationally known craft beer bar in Athens, Georgia.